Learn about the 2700 -year-old Jerusalem attraction that still has engineers baffled. Constructed roughly 2,700 years ago, long before the invention of gps and laser levels, Hezekiah’s Tunnel is one of Jerusalem’s most incredible landmarks. Even by today’s standards, the construction of this 1,750-foot-long subterranean passageway is an extraordinary feat of engineering. 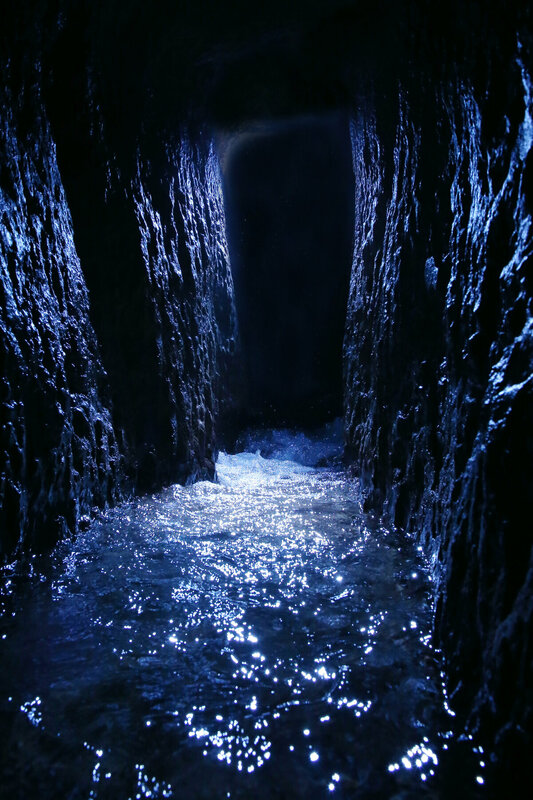 Hezekiah’s Tunnel connects the Gihon Spring to the Pool of Siloam. 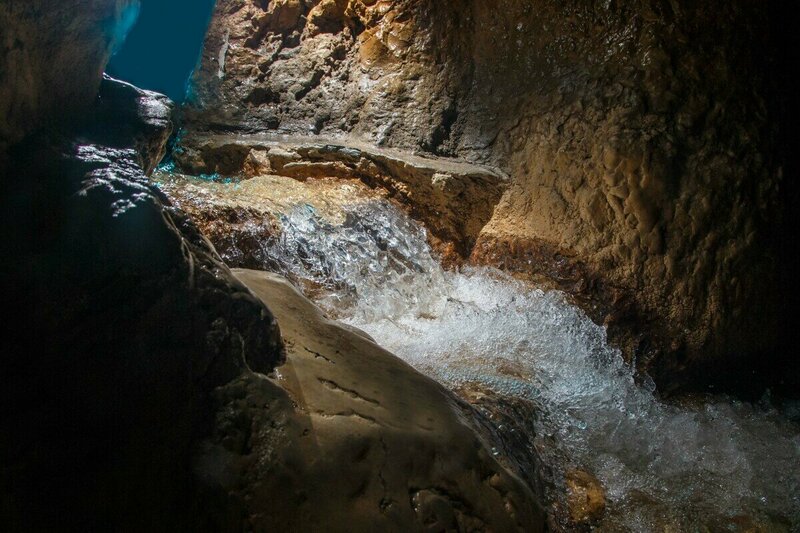 The Gihon Spring is situated on the eastern side of the City of David. This natural spring is Jerusalem’s only fresh water source and is absolutely essential to life in the city. The Gihon was well fortified at the time of King Hezekiah. Water from the Gihon overflowed into the Kidron Valley and was used to irrigate crops, vines and fruit trees. Carving the tunnel was a monumental task. The snaking channel was cut through solid bedrock by laborers working from both ends. This bold strategy meant that the tunnel could be constructed much faster, but it also required exceptional engineering skills. (The difference in height from start to end is 12 inches.) We don’t know exactly how long it took for the tunnel to be created; estimates range from nine months to four years. The water flows south from the Gihon Spring into the Pool of Siloam, which is situated at the southwestern end of the City of David. The Siloam Pool provided water to both the inhabitants of the City of David proper and the inhabitants on Jerusalem’s western hill, which was developed and settled during the time of Hezekiah. Even today, many scientists are baffled about how the teams successfully met in the middle. Their best guess is that rock-sounding techniques were used. The tunnel has been dated using various methods, including radiocarbon dating, to Hezekiah’s time period, thus confirming the biblical verses that state that it was built by Hezekiah (2 Chronicles 32:2-4, 30; 2 Kings 20:20). Inside the tunnel was an engraving called the Siloam Inscription. Discovered in 1880, this moving inscription documents the story of the tunnel’s construction. In 1891, the inscription was taken to Turkey by the Ottoman Empire. Today, it resides in Istanbul, Turkey. Date of construction: c. 710 b.c. 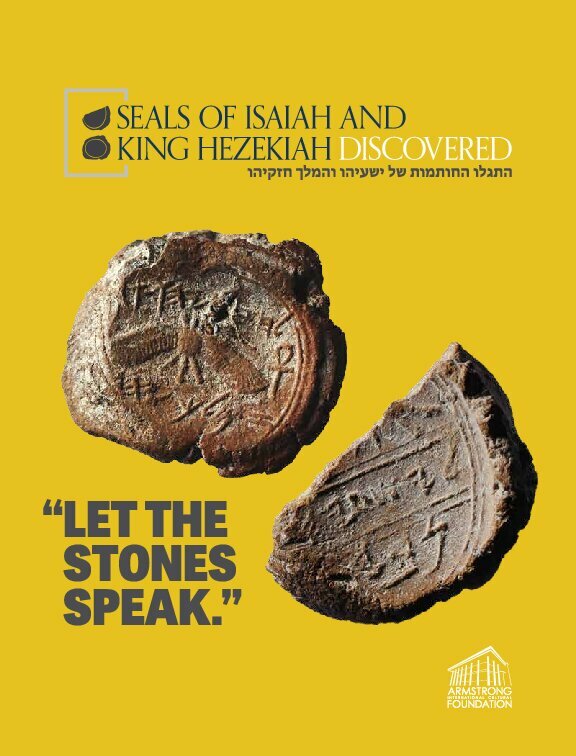 Experience ‘Seals of Isaiah and King Hezekiah Discovered’. Request the free brochure.